After my first night I woke up to find the fish down on the end of the wind. There was already an angler there and I just had a gut feeling that it wasn’t going to happen so I packed up and went for a wonder around the complex. It was a Saturday so fairly busy as you could well imagine at this time of year, I did find some fish but couldn’t get near them so I headed off to to the faithful Linear fisheries. Bluebell is 4 hours from my home and linear is only a short detour about half way back so I thought to myself that if I stop in and have a look around I may get a swim as Linear is a busy venue but that is also a good thing as people are always coming and going from there and you can always find a peg or two somewhere. As luck had it I turned up and it was quiet to be fair so I had a good walk around St. John’s as this is where I had in mind to look first. I soon found the fish up in the back bay where the water is shallow. There were an awful lot of carp in this area, however after speaking to a few people it was apparent that they were mainly catching stockie’s. Down the other end in the deeper part there were far fewer fish being caught but the smallest was 29lb so with this in mind I made the decision to head down that end. I was after a better fish to be honest, with only one night left I felt like I had to try and pull a chunk out of the bag to be satisfied with my trip. 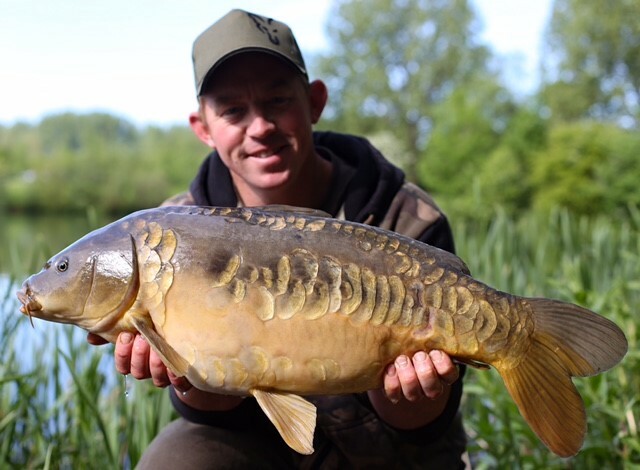 I set up on the road bank and opted for a swim which I knew had a 9ft deep area which was perfect to present my bait on in the middle part of the deep end. When I got into the swim with my kit the sun had now broke through and with this a few carp were soon cruising around to my right in the bay by the entrance so I flicked a couple of spods of SwimStim Pro-Expander floating pellets to see if they would take to them. I went about getting my gear sorted out whilst they built up there confidence, by the time I had done this they were having a right good go. Around 10-15 carp generously slurping my baits like they were going out of fashion. I thought this was game on but boy it wasn’t. They royally mugged me off, I had a couple of takes but I just could not catch one to save my life. Now I would not say I’m the greatest at floater fishing but I can definitely catch one or two off the top, not this time though. After I wasted about five hours doing this I soon realised I had better get so etching else sorted to try and winkle me a bite or two. So at 90 yards I found the 9′ area and set about putting some bait out. I opted for a couple of kilos of XL Corn with a kilo of the Marine Halibut pellets in 8mm. These are great to keep attraction oozing in your swim through the night, constantly pinging of food signals and remember 50% or more of the fish we fish for nowadays have been reared on these pellets so they are basically a natural food to them. I also added a jar of Frenzied Hemp and a few 12mm CompleX-T boilies. The hemp was added to keep fish grubbing around and the boilies were added, as I always like to introduce a good quality food boilie in the mix and the CompleX-T is perfect for this time of year and will compliment any spod mix which is perfect for my type of fishing. 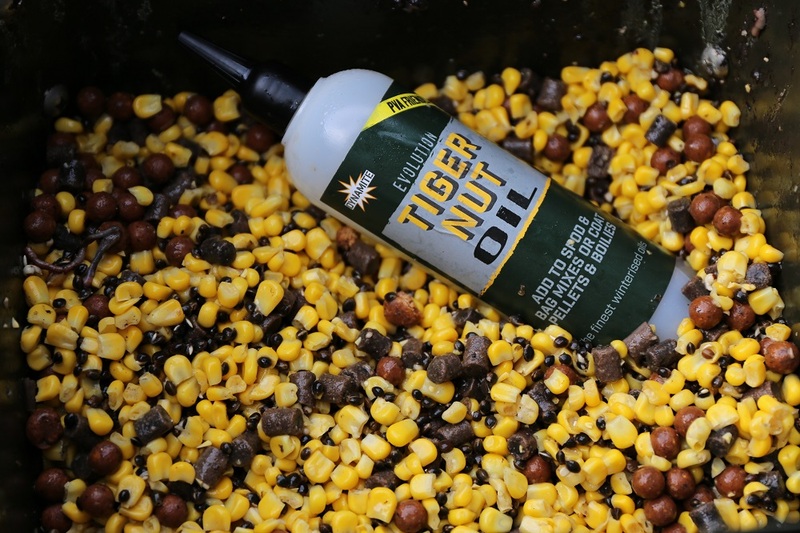 Now I have got a bit of a fetish for one of our new Evolution Oils and that is the Tiger oil. Now this stuff is so versatile and you can’t actually over do it which is great. I Added about a third of a bottle to my mix, getting it to soak into all he pellets and corn so that it would be “working” all the time and also when the fish start feeding on the area I will see oil flat spotting on the surface and with the carp rummaging around it will attract more carp and keep working. Once I had spodded the bait out the rest was fairly simple. I opted to fish 360 rigs over the top with a trimmed down Pineapple and Banana Fluro pop up on each rig. I have caught plenty of carp on these hookbaits and it is an easy choice. I trim them down rather than add putty or shot to the rig as I feel it just makes them a little more fine tuned if that makes sense. 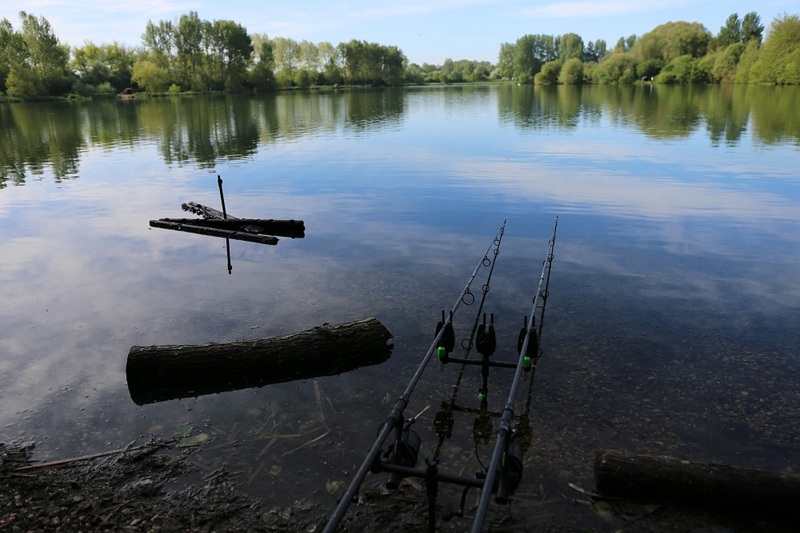 Before I chucked the rods out I had a walk around into the corner where I had fed the floaters as there was a nice tree there which I thought I would bait up and see if the fish up in the water might drop down to feed through the night/ morning time. Same bait and amount but I just baited up by hand from the corner. Time was ticking on and I got the rods out on the spot and fired up the BBQ with a nice cold cider. After devouring some fine steak, minted chops and a couple of burgers I was ready to hit the sack so I gave my better half a call to say good night and was just moaning about how I hadn’t caught anything and the left hand rod was away. After a nice battle with an angry 25lb mirror I was now feeling a little more happy, The plan was working any way and a decent fish too. I sorted the fish out, recast and re-baited with a bit more bait and then went about getting some kip. At first light I was up and watching the water with a coffee half expecting to get that morning bite to be fair. I was waiting… Waiting… Nothing. There were a few fish showing and it looked good for it but Nothing. Time was ticking by and I thought I would try the tree now as there had to be a fish or two around that area. So I wound in a rod off the bait and chucked the same baited rod to the tree. Five minutes later it tore into life and I was clearly bent into a lump. Big slow plodder, up and down the margin but it wasn’t long before I had a lovely big thirty pound carp in the net. What a beauty as well with lots of star burst scales all over the wrist of the fish I couldn’t wait to have a few pictures with it. Afterwards I got the rod straight back on the tree and it wasn’t long before it went again. It actually went twice more in fact before I had to leave at 10 am. 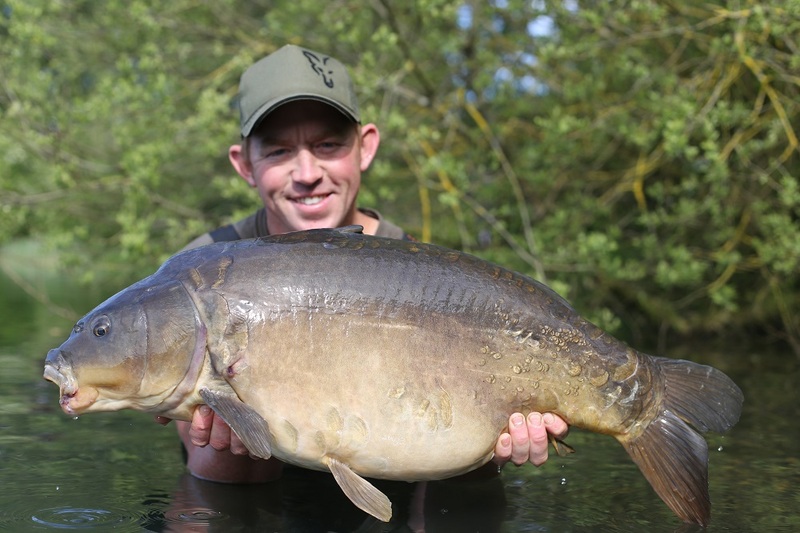 A scaly mirror around 19-20lb and a 22lb mirror capped a productive trip.